With the Superbowl just around the corner, I figured there was no better time to post the recipe for these 3 Ingredient Paleo Buffalo Wings. This has been one of my favorite recipes for a long time, but it never quite made it to the blog. Back when I ate dairy, I used to make these with Kerrygold butter. Now, I make these with ghee. Although ghee is still derived from dairy, it is free from casein and whey, which are two proteins found in dairy that most people are sensitive too. I find ghee is an absolutely perfect alternative, but if you’re good with dairy, you can definitely use butter! My go-to hot sauce for this recipe has always been Frank’s Red Hot, but really any hot sauce will do. Just be sure to check the ingredients to make sure there isn’t a ton of junk in it. This recipe is for about 15 wings. If you’d like to make more, simply double or triple the recipe to accommodate more people! 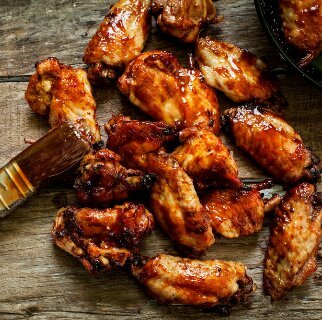 On a parchment-lined baking sheet, place the wings evenly spread out so that they're not touching each other. 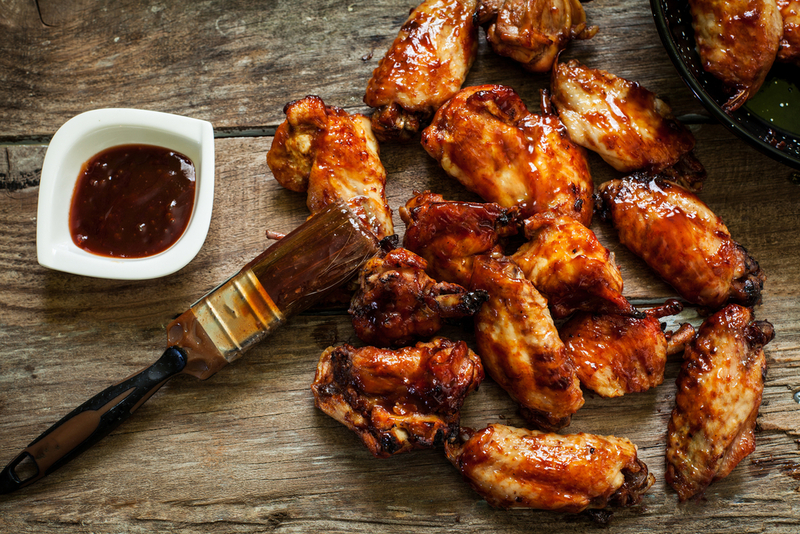 Using ¼ cup hot sauce, gently drizzle a bit on each of the wings, saving ⅛ cup for when you flip the wings. Place wings in the oven and bake for 40-50 minutes, flipping once halfway through and drizzling the remaining ⅛ cup hot sauce over the other side before you place them back into the oven. 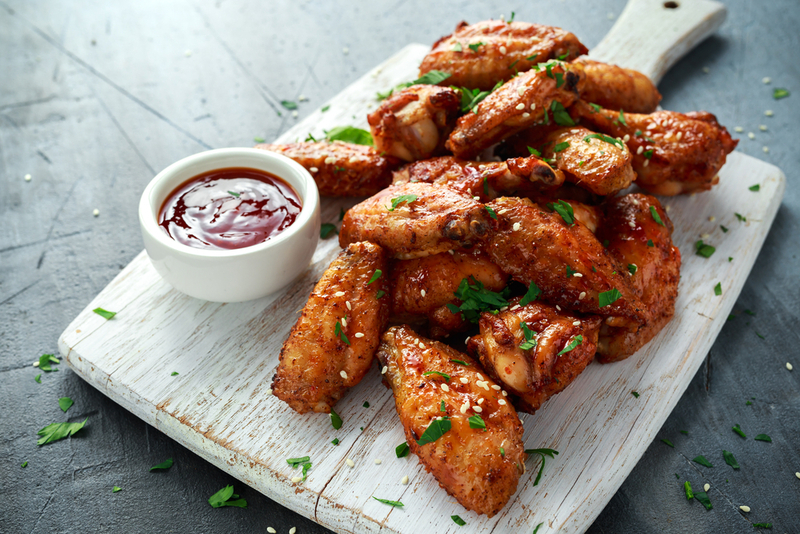 Once the wings are nice and crispy, remove them from the oven and place them in a large mixing bowl with remaining ¼ cup hot sauce and 2 tablespoons of ghee. Mix gently until wings are fully covered in the sauce. Serve hot with my dairy-free ranch dressing and some carrots and/or celery sticks! Whole 30 friendly wings? Holy Moly, my life is complete!